For the second summer running, I have been working for BuroHappold Engineering on an 8-week placement. Being a Civil and Structural Engineering student it was great to have a placement with an integrated engineering consultancy, to see how different disciplines interact. My placement was based in BuroHappold’s Leeds office with the Structural Engineering team. I received a warm welcome on returning to the office and it was fantastic to see how the project I had worked on last summer had progressed. Over the course of my placement I worked on two very different projects, the first being the Middlewood Locks development. 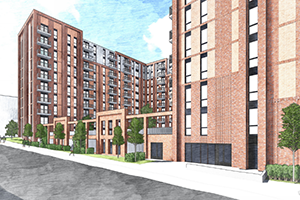 Middlewood Locks is a new build development across multiple plots on a brownfield site in the City of Salford, Greater Manchester. 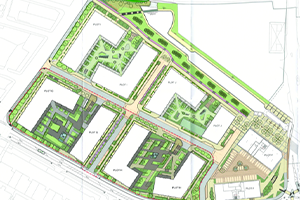 The development is to be mixed use, including residential, retail, commercial, office, hotel and car parking usage, along with surrounding public and landscape space. Phase 1 of the project has already been undertaken by the company and is set to open in autumn 2017. Phase 2, the design of which I was involved in, comprises four separate buildings delivering 546 flats. For those of you without a Civil Engineering background apologies for the jargon to follow! (In simple terms, I made many computer models for different scenarios and tested whether they would work in reality). My main responsibilities included creating models of a typical floor slab. Using these models, I did the analysis of the structure by undertaking safety checks to ensure that factors such as deflection, cracking and punching shear were within acceptable limits. I designed multiple retaining walls both external and internal, including one located underneath the structure to allow for the creation of the car park. Additional to this, I undertook the checking of the calculations associated with the tower columns and allocation of the reinforcement within these columns. In contrast to this, my second project was of a much smaller size, but proved equally interesting. 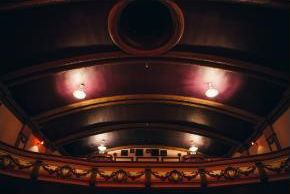 I was tasked with working on the Hyde Park Picture House project, a renovation and extension works to the Grade II listed cinema. This project was fascinating as I had access to the original drawings created in 1913. My job was to discover the existing structure within the building and work out how this would interact with the new proposed structure. Through undertaking the project, I learnt about the historic codes and how buildings were designed in the early 20th century. As part of the project, I got to go on a site visit to look around the existing structure. This turned out to be vital as one of the columns shown on the historic drawings was not present in the actual structure! One of the main things I discovered during my placement was how the industry is changing to exploit the use of new software development. I also learnt how the creation of models has become easier and more efficient by using programming in Grasshopper and Dynamo to create models then automating workflow into Robot or Revit. An automated workflow focuses on linking software together using an API, so that the output of one software become the input of the next. I was involved in two training sessions which helped me develop my understanding of the software. This has inspired me to propose a dissertation in this field. When creating my analysis models, I used Grasshopper, Rhino and Robot as an automated workflow; I gained a lot of experience from doing this by using online forums as well as the knowledge base within the office. During my placement, I have been exposed to a variety of different software and techniques used in industry and have learnt a lot of new technical knowledge. I am glad I chose to accept an industrial placement as part of the SELA scheme as it has allowed me to determine what sector I would like to pursue after graduation. All my placements while at University have been extremely beneficial and I would recommend to any student if given the opportunity to take a placement. The knowledge I have gained over the 8 weeks is incomparable and will fully support the work I do during my final university year.